The first “Consultation between Teachers Parents, and Students” was held today, Sunday, July 22nd from 10:00 am to 2:30 on schedule. The eleven couples of parents and their children attended today’s event. The number was more than Yoshy expected. Thank you very much! Some couples must have been waiting in the next room, LL English one; ecuse me to have kept you waiting for more than twenty minutes. Though parents told them to study, or the more they told so, the more burden their children would feel their words. Do not worry about this… when those who becomes the 4th graders, they would realize Yoshy’s saying, “Write this pages just after saying aloud or learn by heart,” or “You should learn these words of the pages of Eitan-master”. Let me tell parents that the priority for your children should rely upon Yoshy; their trust upon their parents might follow Yoshy, which I am asking parents to believe in, please. In this case, parents should not easily obey children’s sayings! You had better dare to laugh at them, saying “I hope you will keep Yoshy’s word, won’t you?” That’s enough. It sure is hard for parents to do that, however, Yoshy wants parents to be patient with them; please do not enter their spoiled mind inside. To put it strongly, Yoshy thinks that parents should say to them, “I’m happy you are learning LL English at LL Shihoya Arai School.”; even if they do not work at home, I am asking parents to close one eye to their children’s activities you don’t hope, which must be very important for their sound growing. 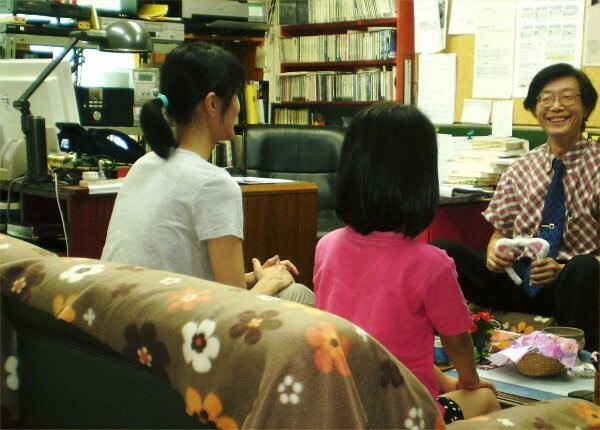 Yoshy always praises children who are elementary school students and under in LL lessons and this consultation. Yoshy was very happy we could talk together about “how LL students who are facing entrance exams: of senior high schools and universities should use LL English commands in their future.” And Yoshy was pleased with looking at parents’ and their children’s bright faces when they left LL office. Yoshy is waiting for your calling anytime by those who called me to tell their absence from today’s consultation when parents had any trouble with anything about learning English. Some cases were solved without parents’ effort by calling Yoshy. Thank you very much you have read this long sentiments.